Winnipeg and Manitoba are truly amazing – and I appreciate the way you celebrate them in your blog post. The cultural history of Winnipeg alone, with the internationally acclaimed Royal Winnipeg Ballet and the Manitoba Theater Centre say much for the city’s vibrancy. Music greats Neil Young, Randy Bachman, and Chantal Kreviazuk, among others originated in Winnipeg. Up and coming musicians, now in their teens and from virtually every ethnic group, are now starting to make their mark in the music world. Some of them will be the stars of tomorrow. Winnipeg is one of the most cosmopolitan cities in North America. Visitors to our city and province can expect friendly hospitality (as well as great food in restaurants of all kinds). Manitoba as a whole is a fantastic province. There is such rich diversity in culture and landscape. Living on the edge of the Canadian shield, I am in awe of the beauty. I also grew up in the south on a farm and appreciate on the “flat land” has to offer. As often as possible my family and I make our way down to Winnipeg to enjoy such a wide variety of events: hockey games, Winnipeg Symphony Orchestra, Cirque du Soleil, all sorts of concerts and of course shopping. Also of note is the high qulaity restaurants that are scattered throughout. The movement toward local, organic quality foods is very evident. Thanks very much to Tracy and Daly for opening the conversation on this post. I’m glad you mention the fact that Winnipeg is cosmopolitan, Daly, as I don’t think many people see it that way. I think our multi-culturalism really adds to the personality of the city and I’m so glad to see that we’re finally enhancing that with some amazing infrastructure. Thanks for providing your rural perspective, Tracy. It’s great to live in rural MB, but it’s wonderful to have the cultural attributes of the city so close at hand. HI Doreen: In my communications with friends and relatives in big cities around the world, I get a giggle by telling them it takes me 15 minutes to get downtown in rush hour; and about an hour from one side of the city to the other. Truly, there’s no place like home. The new airport is gorgeous! I had the pleasure of seeing it only a few days after it opened on my way to Los Angeles. It really reflects the beauty and passion Winnipeg has to offer. Thanks for your comments, Linda and Marlo. 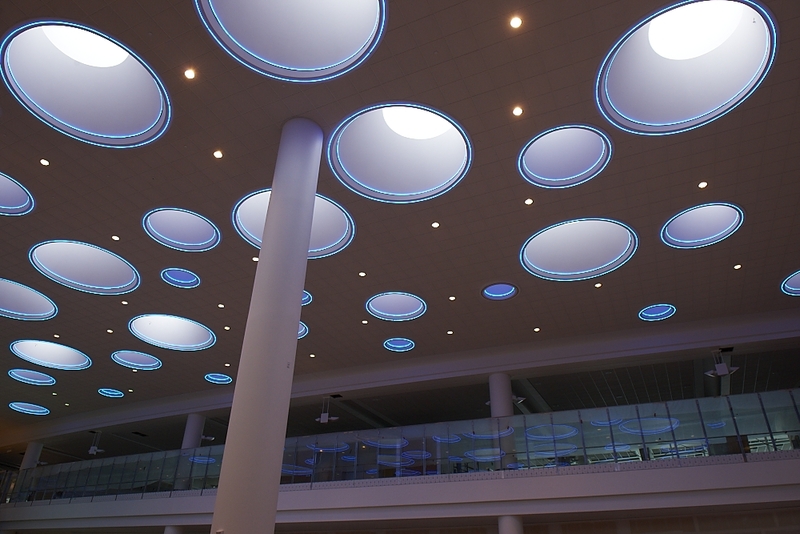 Yes, we’re fortunate to now have an airport that reflects the artistic beauty of Winnipeg and Manitoba in general. Much better way to make a great first impression with visitors and makes us locals proud when we return from abroad. My hubby is from Winnipeg so we’ve always had a strong affection for the city. Still remember the 1st time I flew into Winnipeg from Toronto. Couldn’t believe how easy it was to navigate Winnipeg’s airport. Looking forward to flying in to Winnipeg’s new airport digs. Pix on this post suggest it’s impressive. Winnipeg is a very under-rated city. I find that even our own citizens often dont appreciate what we have here. But what’s happening lately is truly amazing. Starting with the new airport, but also the new Hydro Building, MTS Centre, the new Stadium, the Canadian Museum of Human Rights, major upgrades to our zoo and the list goes on and on. Our provincial government spends less on tourism advertising than some smaller provinces, so its important that bloggers, such as Doreen, help spread the word about this hidden treasure we call Winnipeg. Thanks for your comments, Judy and Bo. Judy: Yes, the new terminal is definitely impressive. And green! Said to be the greenest building in Canada for a structure of its size. And do let me know the next time you visit Wpg. Would be nice to get together. Thanks so much, Bo, for your acknowledgment and encouragement! You’re right in that Wpg is often under-rated — both by our local inhabitants, but certainly by those in other centres as well. It drives me crazy when I hear people refer to our city as “Winterpeg.” I must admit, for that reason, I didn’t appreciate the art depicting ice at the airport. Couldn’t we have focused on the loveliness of spring, summer and fall? Thanks again for dropping into the blog. My husband and I used the new airport two days after the opening, and all systems were working well! As one can see from the photos, the “look” is stupendous ! Very airy and space-agey . And what a pleasure to experience brand-new facilities, walk on new carpet etc! New shops as well – including Rocky Mountain Candy Company which had a great intro deal on packaged caramel corn. ( Sorry, Doreen, we didn’t try the chocolate) I hear that Stella’s will be there as well. Very little on the non-departure side – I guess they want to encourage people to go through security as soon as they get there. The volunteers are still there and extremely helpful – quite an advantage , especially in the early days when we don’;t know our way around yet. There’s a central information booth/lost and found to help as well. The new airport made me feel that I was ” somewhere” – and that somewhere is Winnipeg, where we seem to be feeling more and more optimistic about most aspects of our city. Funny you should mention the Rocky Mountain Candy Company, Laurel, as I was eating their chocolate nut fudge this morning! It’s absolutely luscious! What a beautiful airport, Doreen. I haven’t been to Winnipeg yet. But after reading this, it’s going to definitely be in my list of places to visit. Terrific, Adeline. You won’t be sorry. And just so you know … Winnipeg has a very robust Filipino culture. You’ll love it. We travelled thru the US departures portion of the Wpg airport terminal on Friday, Nov 25th. Was disappointed to learn that Stella’s is not open yet, and that it will be on the 2nd floor departures area (presumably for Canadian departures.) We had lunch at the TGI Friday’s on the 3rd floor and it was good. Will post another comment when we return thru the arrivals area on Dec 2nd. Gorgeous photos! I think that we underestimate the importance of an airport. It can set the tone for a person’s visit as it’s often the first connection to a place. Looks like a lot of thought, brains and money went into this one! Lots to be proud of Doreen. Thanks for letting the world know about this! 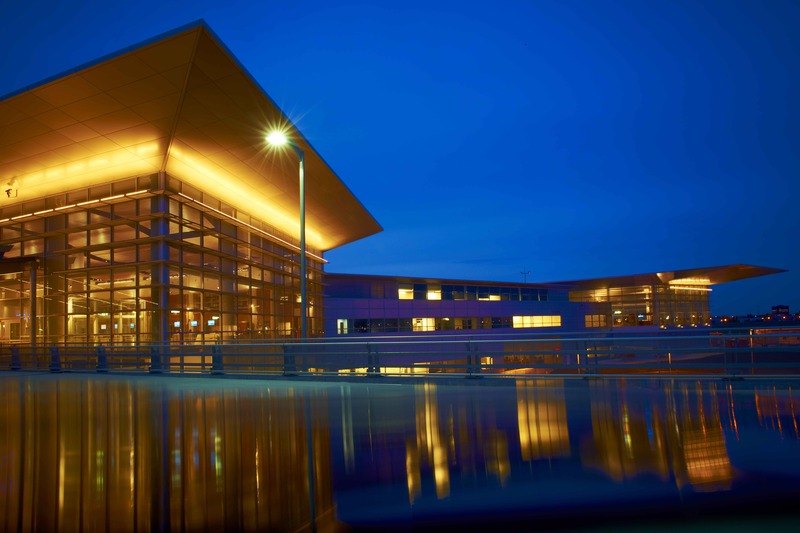 You are so right about the importance an airport terminal serves when receiving new visitors to its city/region. We flew this week in and out of the Springfield, Missouri National Airport and were very impressed. It’s small, bright and clean, and really reflects the friendly spirit of the state. We truly felt welcomed, the moment we landed. That set the stage for a terrific week of touring. And I promised to give an update re the Arrivals section of the new Winnipeg Airport Terminal. We found it to be highly efficient, and much more light and airy than the previous arrivals area. My only real criticism of the terminal is that the walkway to the parking terminal is not enclosed. In view of the 5 months of winter weather we experience in MB, that would have been such a nice touch.